Truong Thi Luot, affectionately nicknamed Bay, is a banh mi (Vietnamese bread) vendor in Quang Ngai Province, central Vietnam. While her job might seem menial, the effect her charity-infused businesses ethics have had on the community of students who depend on her for their daily meals has been nothing short of miraculous. At first glance, nothing seems special about this average Jane. 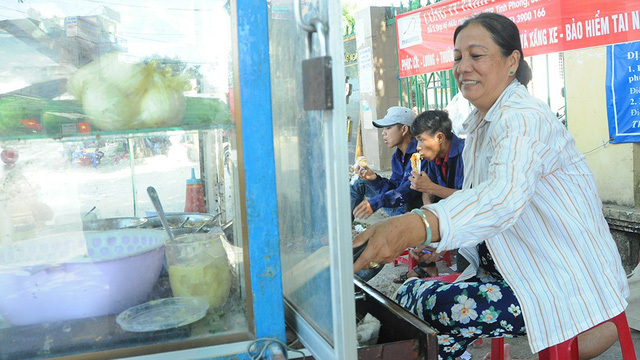 She’s a normal street vendor, a 56-year-old woman who sells traditional sandwiches at the front gate of a local vocational school. And it is this average profession in this average place that she makes her mark on the community by helping those in need. Quang Ngai vocational school is notorious for its poverty-stricken student pool who often have so little money they go the entire school day without eating. Though many resort to part-time jobs, the vast majority of their cash goes towards rent. Amidst the dreary situation, Bay’s banh mi stall is a beacon of hope. To Bay, every student is a cherished customer, regardless of their financial capacity. She values each one so much that she even sells her banh mi’s on credit. “It does not really matter. It may take years, but eventually, [the students] always return to pay back their debts,” Bay chuckled. Bay’s mindset has led to a credit sales record book of unbelievable detail.  At times, it’s reached as high as VND20 million (US$872.18) in uncollected revenues. Though the amount may seem trivial to others, for Bay’s meager income of VND100,000 (US$4.36) a day makes it seem mountainous. But she never shies from the selfless act. “The ones who have to buy my foodstuffs on credit are very poor students,” Bay said. “I truly care for them, and want them to finish school quickly and get a proper job. This is kind of like my investment,” she remarked. Yet it is surprisingly pleasant to find out these investments yield excellent returns. Nguyen Trung Tam was a poor student, who received help finding a job and a place to stay from Bay, aside from buying her banh mi on credit for two years straight. Though Tam settled in Ho Chi Minh City, he kept Bay at the top of his mind. Just this New Year’s Eve, he visited me, and returned all his debts in one go,” Bay giggled. For many students, Bay does not just sell foodstuffs on credit, but also acts as their trusted school guardian. Nam, an ethnic student, along with 30 other of his peers, literally had his life saved by Bay. Due to financial shortage, they had had their food prepared by Bay for months. Even when Nam got into a traffic accident, it was her he first turned to for help. Thanks to the good reputation she has earned through the years, Bay managed to get Nam a pardon from further fines. But Bay does not simply stop at providing food and jobs. When time calls, she even functions as a mediator. Whenever a fight breaks out, she is the first on the scene, calming the situation and bringing order to the school yard. “Not on my watch,” she says. Bay never shies from the students’ teenage problems – even love. She once helped a girl who was left by her lover and on the verge of committing suicide. Once Bay head of the situation, she reached out and found a job for the poor girl to get her mind of the break up. Thanks to her quick intervention, the female student is now how and successful in her studies. Bay’s reputation has grown consistently over the years, inspiring other businesses to follow suit. “Bay helps them from time to time. As neighbors, we just can’t stand idly and watch,” local grocery shopkeeper An said. To many Quang Ngai locals, Bay’s selflessness is certainly a beacon of light, especially when her own family suffers from poverty. But that never drags them down; her two children have college degrees, a feat many thought impossible to achieve with such a background. Even during harsh times, Bay never considers pressuring the students to pay their debts. Instead, she borrows just enough money from her neighbors to get by. “Poverty does not elude her warm heart. Were it me, I would immediately throw in the towel,” Hoa, a local, stressed. Quang Ngai vocational school’s Youth Union secretary Dang Hong Son also aligns himself with that statement. “No matter what we sell, we always seek a fair trade,” Son said.